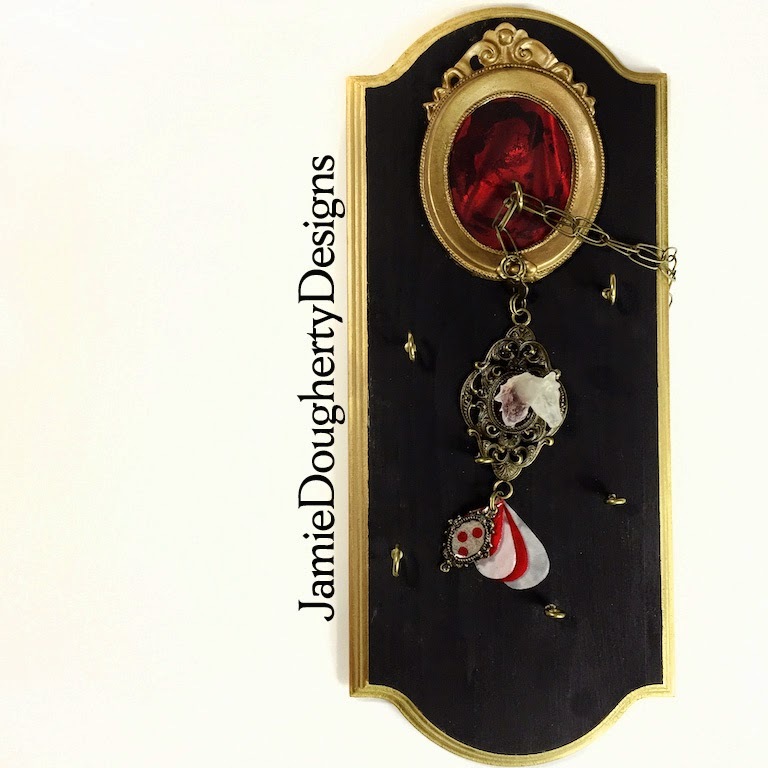 Jamie Dougherty Designs: Handmade Holidays 2014!! 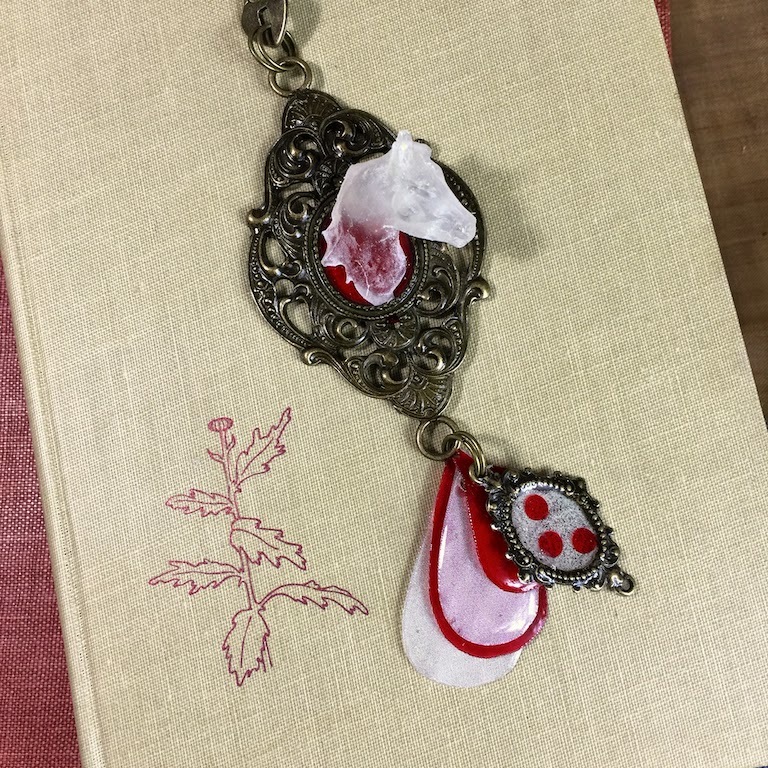 Hi everyone :) I have created an unique necklace and jewelry board. I had the pleasure of using Ice Resin, Walnut Hollow, and Rolex product to create my pieces. Here is a how to of how I create this fun gift. Now remember you can change up the colors to fit your style. 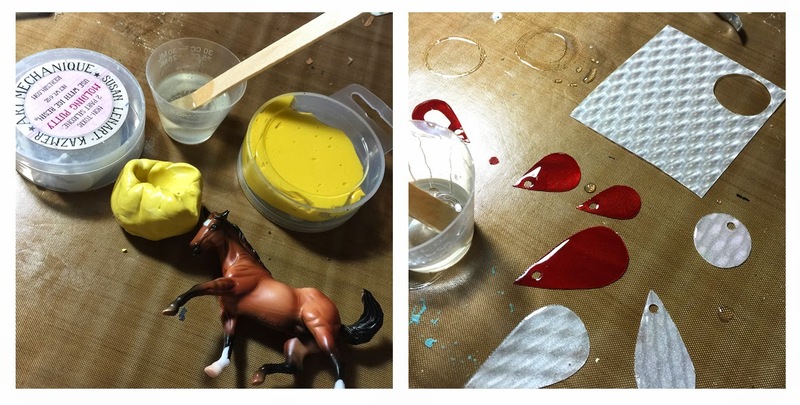 First I took Ice Resin's Molding Putty and one of my daughter's resin horses and made a mold of the horse. I then poured the mold with Ice Resin. I also cut shapes out of a couple of sheets of Rowlux and layered them with Resin also. This gave them a nice gloss finish and give them an extra layer of strength. While those cured I moved onto my jewelry board. I had created a mold from a $1 store frame and poured it with resin. 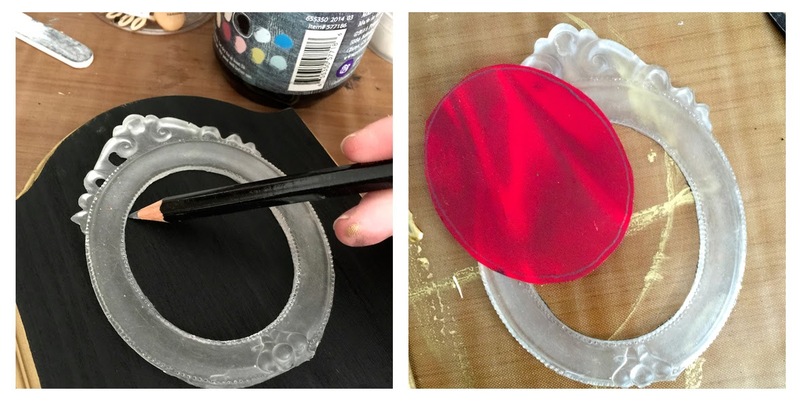 The fun part about the molding putty is you can use any found object to create a mold out of. 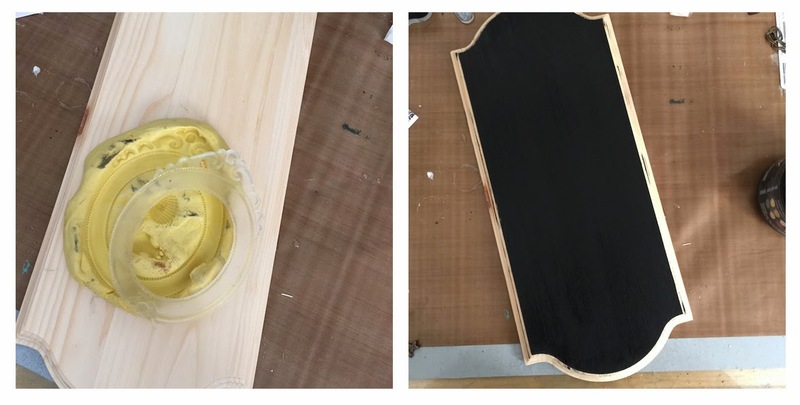 While the frame cured I took black chalkboard paint and painted the face of my Walnut Hollow wood plank. I let that dry. I wanted to add a splash of red to our board so i traced out on the board where I would like to place the frame. Then I also traced an insert onto a piece of Rowlux and cut it out. I adhered the Rowlux onto the board. 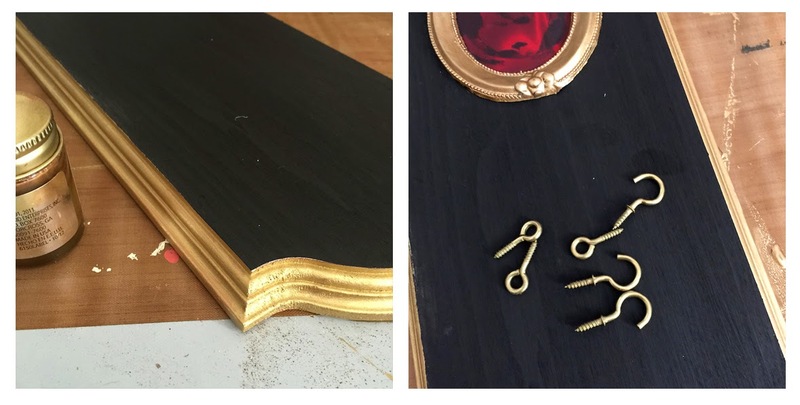 I used liquid Gold leaf paint and painted the edge of my board as well as my resin frame. I then adhered my resin frame to the board. Using self tapping eyelet's I screwed them into the face of my jewelry board. To put my necklace together. I took a large bezel that I resined my Horse head onto (The red background is a piece of red Rowlux). I then used jump rings to attach my Rowlux embellishments to the bottom of the Bezel. The smaller bezel is resined with Rowlux confetti and Iced Enamels. Here is my finished result. A fun gift for that Romantic in your life. 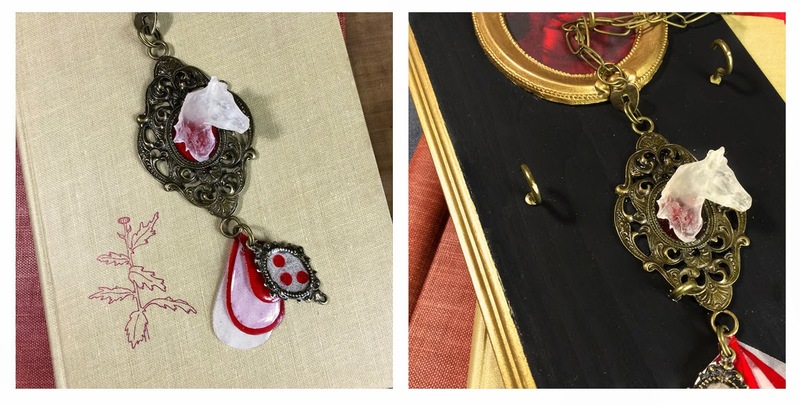 Supplies Used: Ice Resin, Iced Enamels, Ice Resin Molding Putty, Ice Resin Romantique Bezels, Rowlux film, Walnut Hollow Wood plank, black chalkboard paint, gold liquid leaf, Gold eyelets, misc jewelry findings and chain. Very interesting project. Your talent is wonderful! TFS! 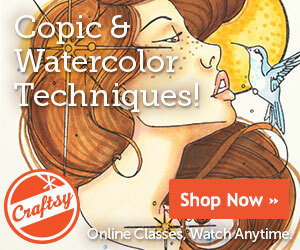 This website and its content is copyright of Jamie Dougherty Jaylynn Scraps - © Jaylynn Scraps 2010. All rights reserved. 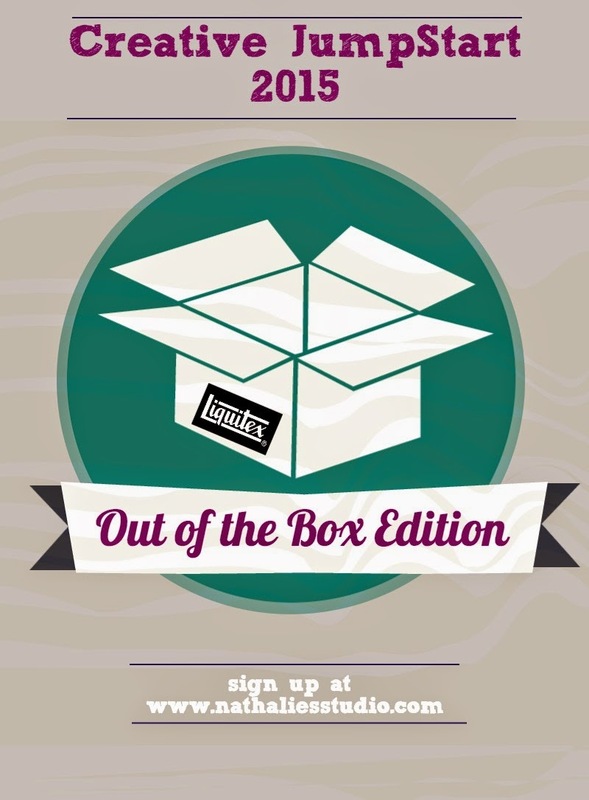 you may use extracts of project ideas for your personal and non-commercial use only. All photographs are sole property of above said copyright. You may not, except with my express verbal or written permission, distribute or commercially exploit the content. Nor may you transmit it or store it in any other website or other form of electronic retrieval system. I created this copyright on my website more for the protection of my children's pictures.